This level have normal difficulty and you need to use few techniques to easily complete this level. For this level first try to break blockers as they wont break automatically on moon struck and also break timer bomb as you get. After moon struck try to use special candies to break more jellies without unbalancing the Odus owl. 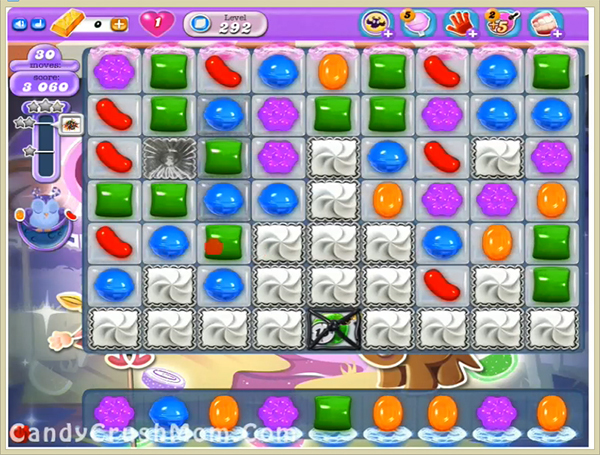 After break remaining jellies using striped candy to with other technique with balancing the Odus owl to complete this level. We completed this level with 689240 score using colorbomb and other special candy that help to reach requirement withing 16 move with three star score.